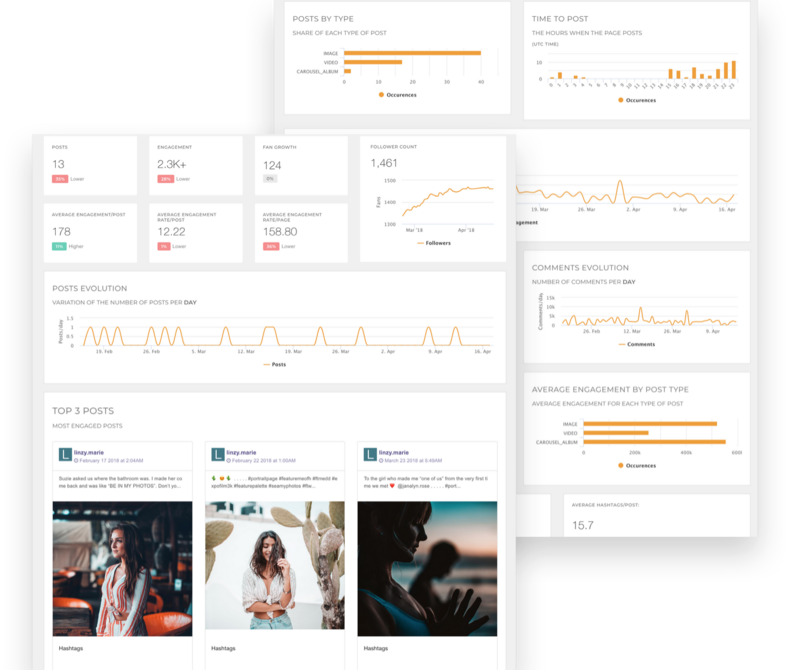 Boost your engagement on Instagram by tracking the KPIs that matter your business - engagement rate per post, reach, Stories analytics, hashtags analysis, and time to post. 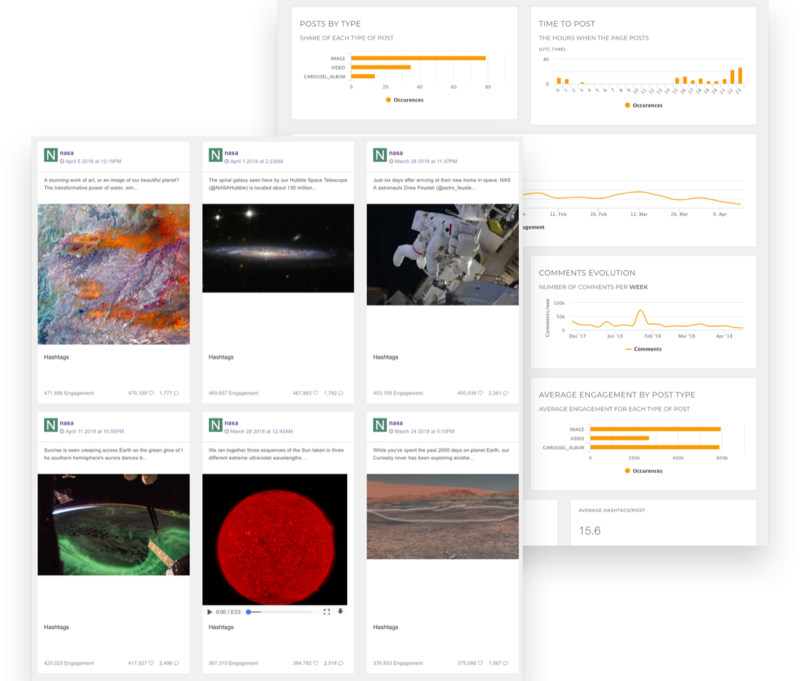 Dive deep into content behavior on Instagram, and get lists of posts sortable by different metrics. 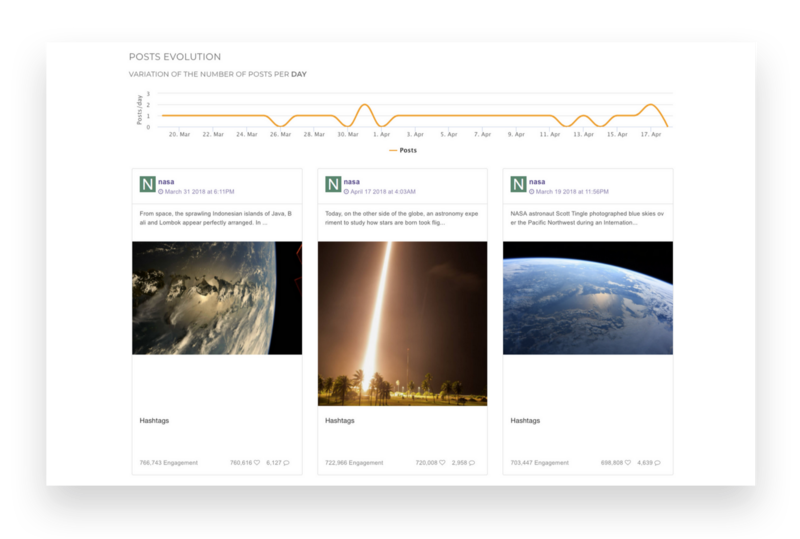 See what Stories are performing, and get insights into what works for your audience. 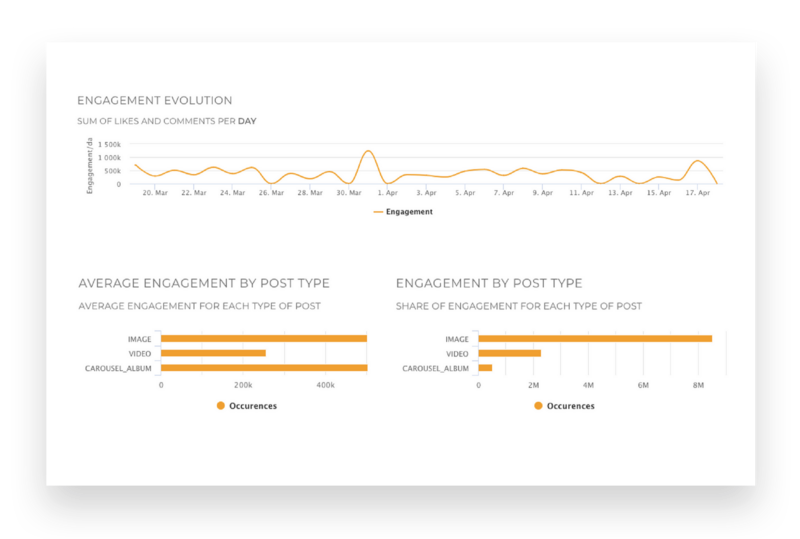 Discover Stories metrics like reach, impressions, completion rate, the best time to post Stories based on engagement. Drive conversations on Instagram with performing Stories. To hashtag or not to hashtag? That’s the question. Track performance for any hashtags and understand which hashtags lead to better engagement. Grow your brand presence on Instagram by understanding the posting behavior of hashtags, engagement, and type of posts with hashtags. Perform a competitive analysis for your clients based on industry, influencers or trends. Measure your Instagram efforts, discover what your competitors are up to on Instagram and what past campaigns they have rolled out. 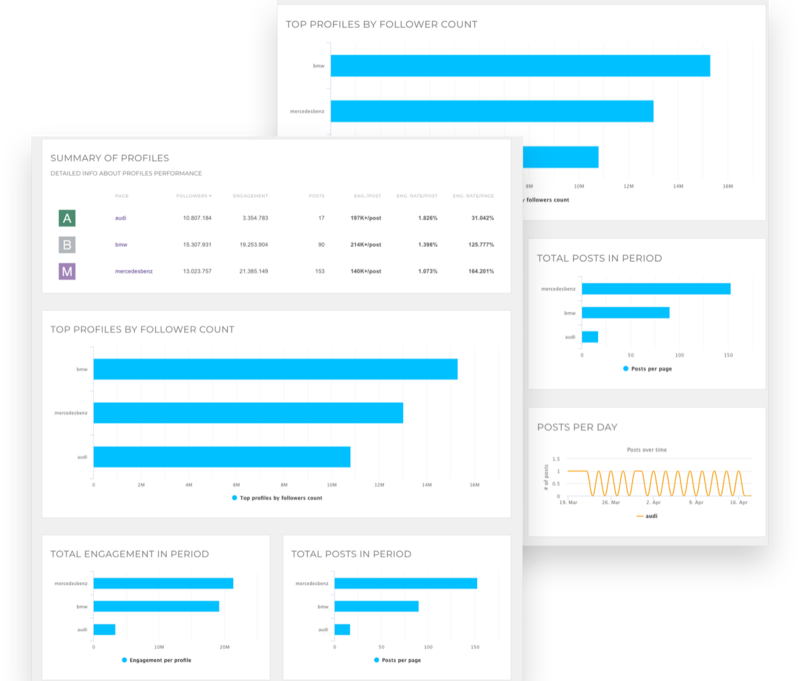 Create presentation-ready reports and easily share the data with clients. Create branded PDF or PPT reports for any Instagram business profile, and set up automated reports which land directly in your inbox or clients' inbox.